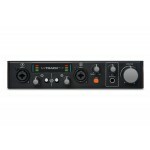 What could be more convenient than M-Audio's UNO USB MIDI interface? This ultra-compact USB MIDI int.. 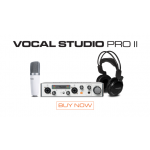 Achieve Professional Fidelity With Your Computer Recordings The M-Track Plus delivers studio-grad..
Vocal Studio Pro II is the all-in-one solution for your computer-recording projects. Lay down voca..